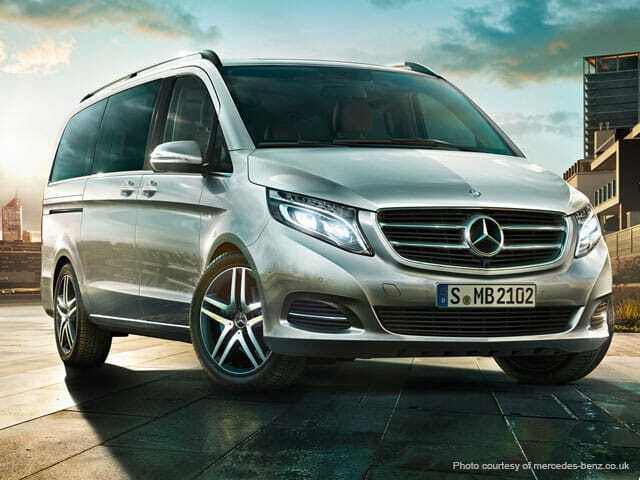 It’s the third-generation Mercedes of this type – essentially a luxurious people carrier version of the Vito van. 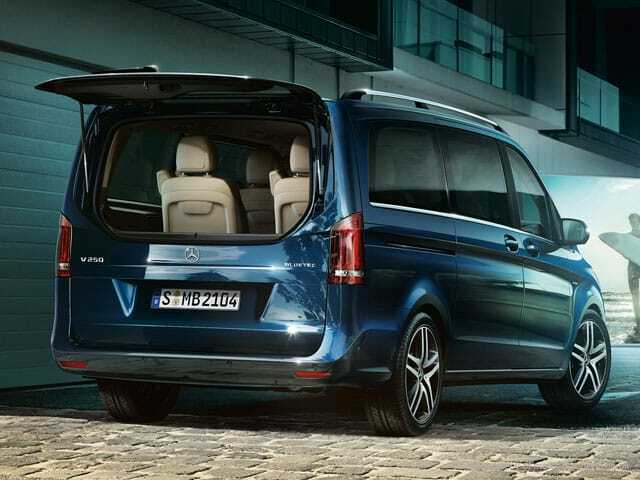 The V-Class resurrects the name applied to the first iteration and replaces the Viano. It has few direct rivals, but chief among them is the evergreen Volkswagen Caravelle. More recently the Citroen SpaceTourer, Peugeot Traveller and Toyota Proace Verso have joined the fray, although none match the plushness offered in the Mercedes. There’s also the long-in-the-tooth Hyundai i800, or if you’re after something more leftfield – and slightly more conventional car-like – then consider the less expensive SsangYong Turismo. Mercedes-Benz is keen to lose the V-Class’s commercial vehicle ties and calls on contemporary design cues from the likes of the C-Class to add more car-like features, while an AMG Line trim level complete with a sporty bodykit lifts the exterior further. 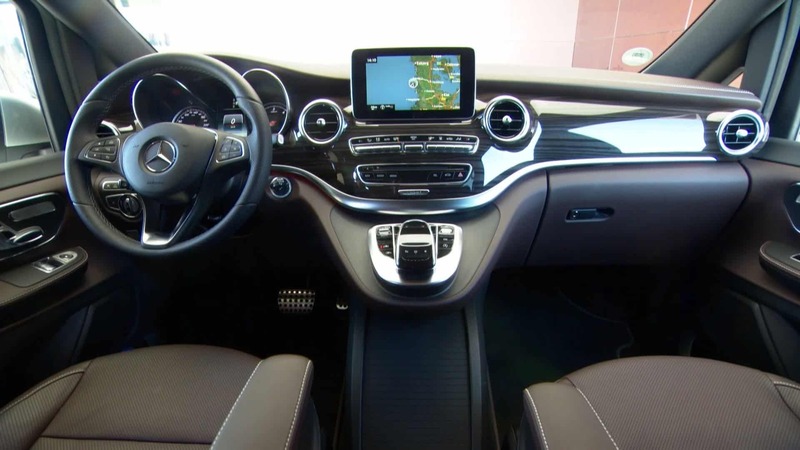 There’s a distinctive two-section dashboard design coupled with high quality seat materials, again borrowing heavily from the look of the C-Class’s cabin. Its swooping lines are a world away from the Vito’s angular cliff of plastic. Inevitably there’s a ‘but’ or two, though. While its perpendicular flanks liberate masses of interior space, they ensure the outside remains van-like, while the low-mounted fuel filler flap – secured by the front passenger door – is reminiscent not just of the Vito, but almost every one of its commercial rivals. Propulsion comes from Mercedes’ venerable 2.1-litre twin-turbocharged diesel available in a choice of two power outputs; the V 220 d has 163hp, the V 250 d offering 190hp. Both transmit their power to the rear wheels via a seven-speed automatic gearbox. It’s the less powerful of the pair that’s marginally the more efficient, but the superior performance of the V 250 d makes it easier to live with. There are plenty of practical features including a separately opening rear window attached to the upper tailgate frame. When coupled with the flexible boot storage this means items can be loaded into the vehicle without having to open the rather large rear door – handy for car parks where space is limited. Interior space in the V-Class is impressive. It’s available in three lengths – standard, Long and Extra Long – with a choice of seven- or eight-seater configurations depending on whether you specify a three-seater bench for the middle row. The driver and front passenger get four-way lumbar support, as well as seat heating, while fully electrical adjustment of the seats is optionally available.